Storage is available for a variety of oil & chemical products and the port has good transport links by road, rail & sea. The facility is managed by a subsidiary of Northburn Industrial whose business is recycling waste oil. 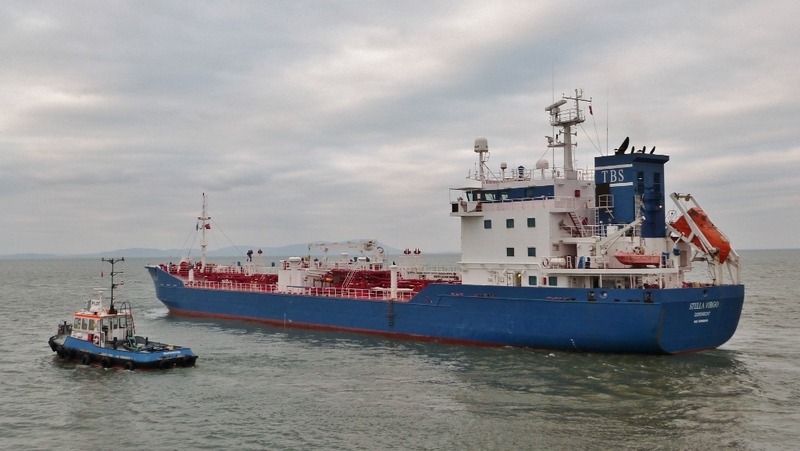 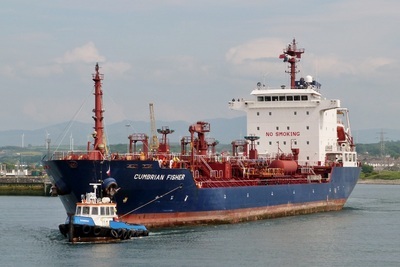 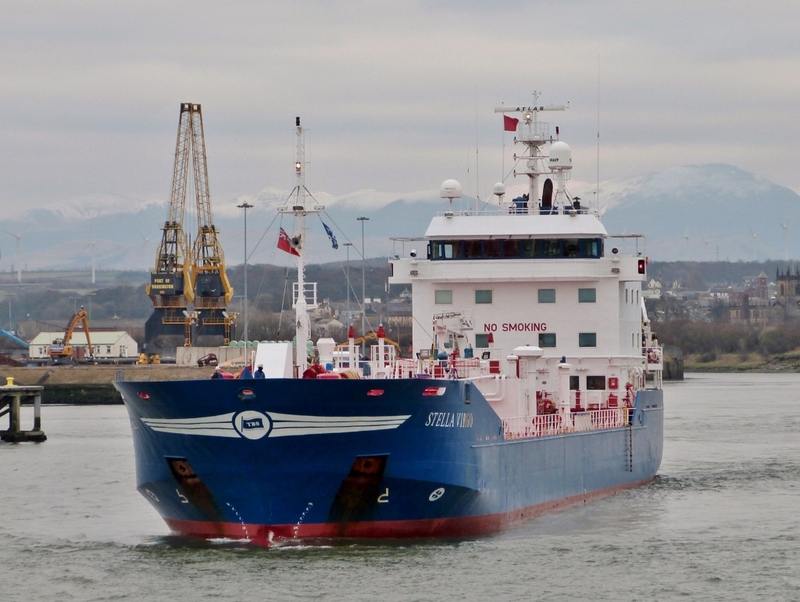 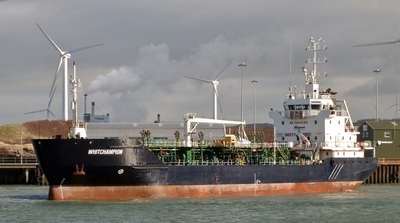 The bulk of tanker traffic is exporting these materials to locations across mainland Europe. 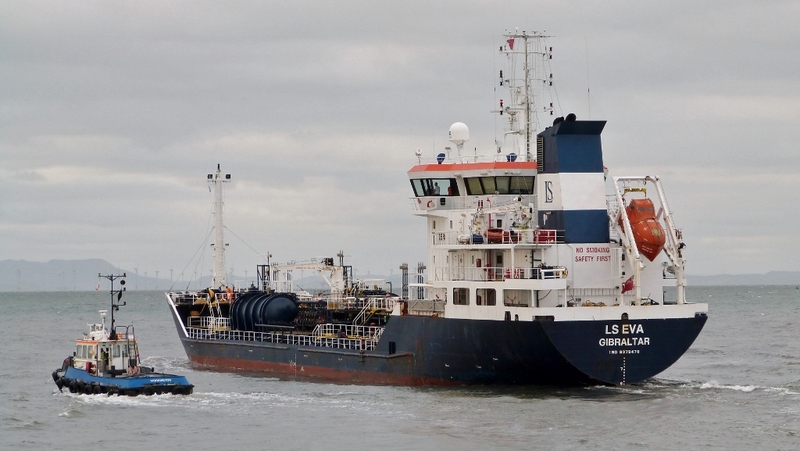 Inbound from Stanlow to collect waste oil. 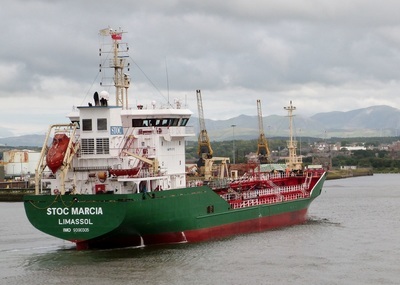 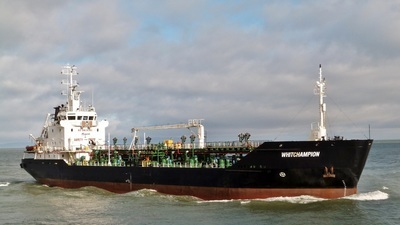 The 100m, 5,800ton DWT tanker was built in Portugal in 1997 as 'MULTITANK BRASILIA'. 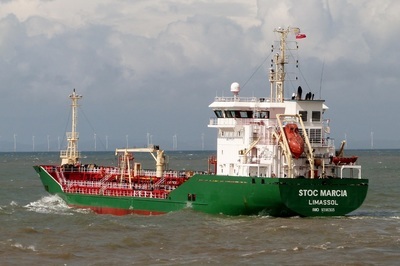 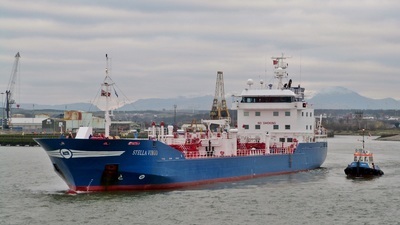 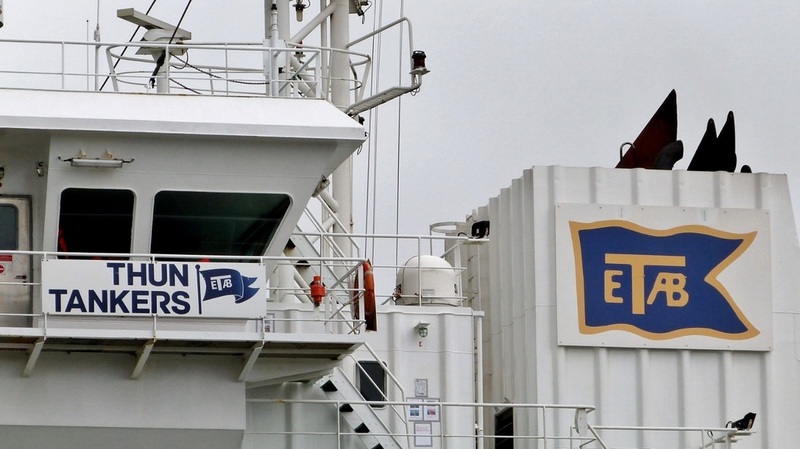 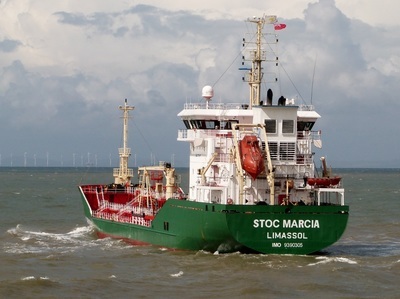 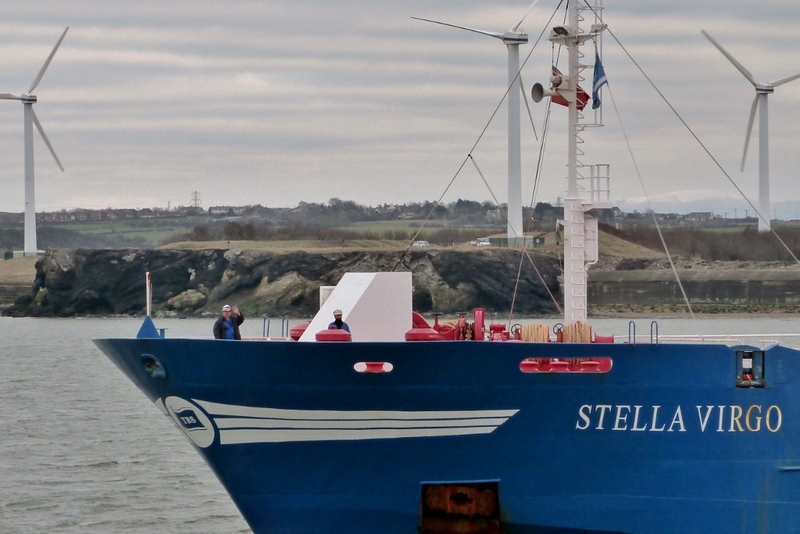 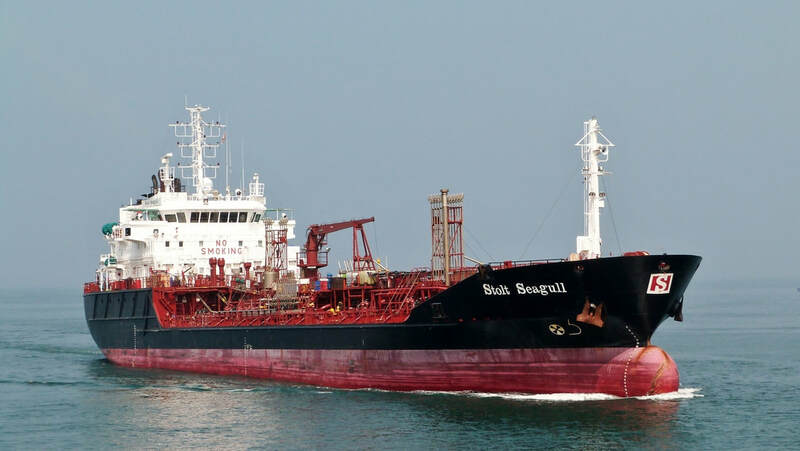 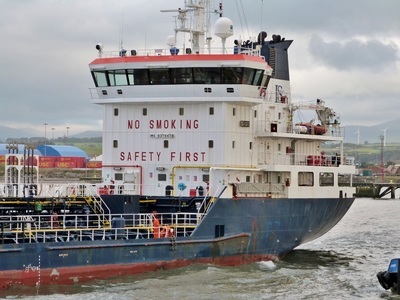 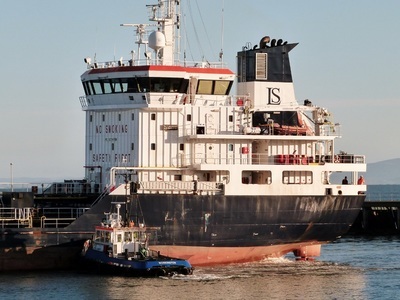 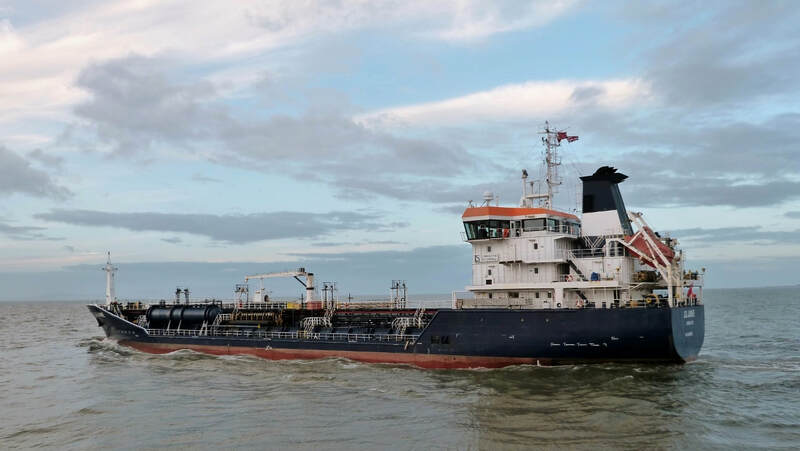 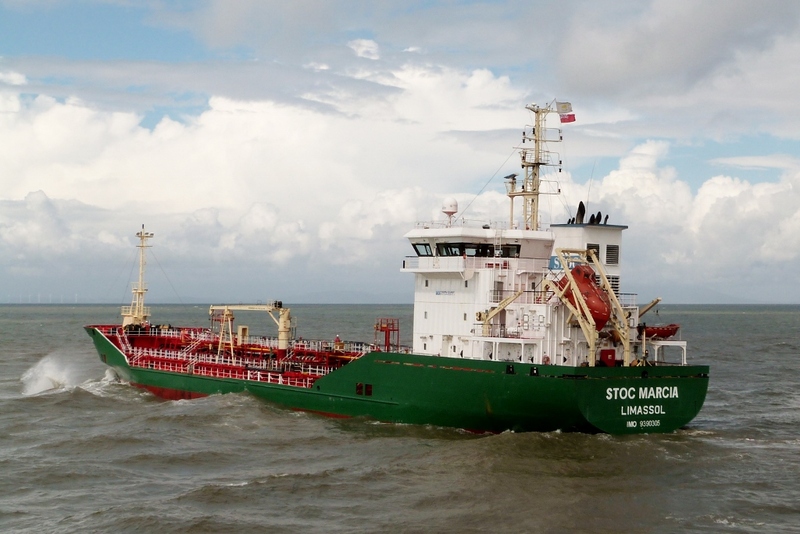 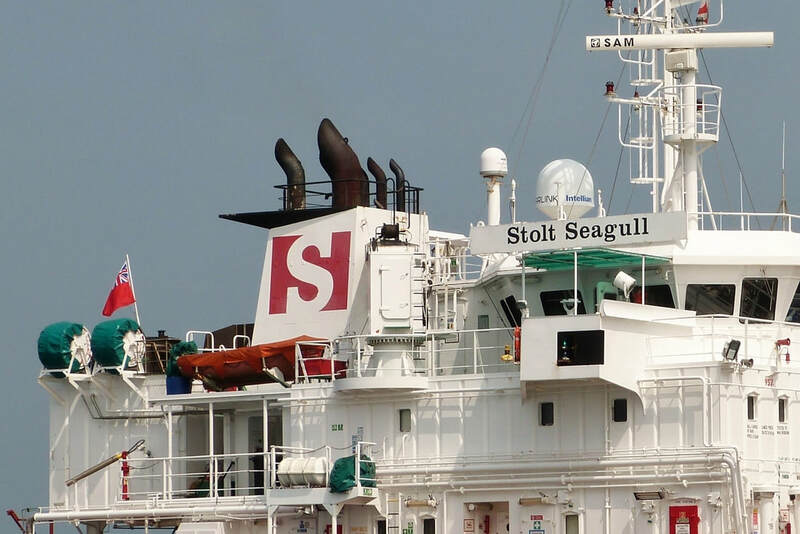 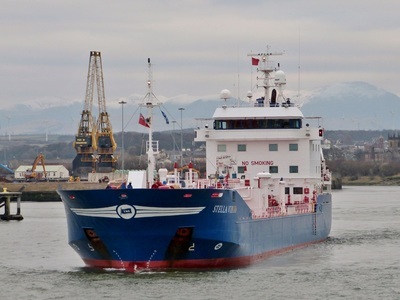 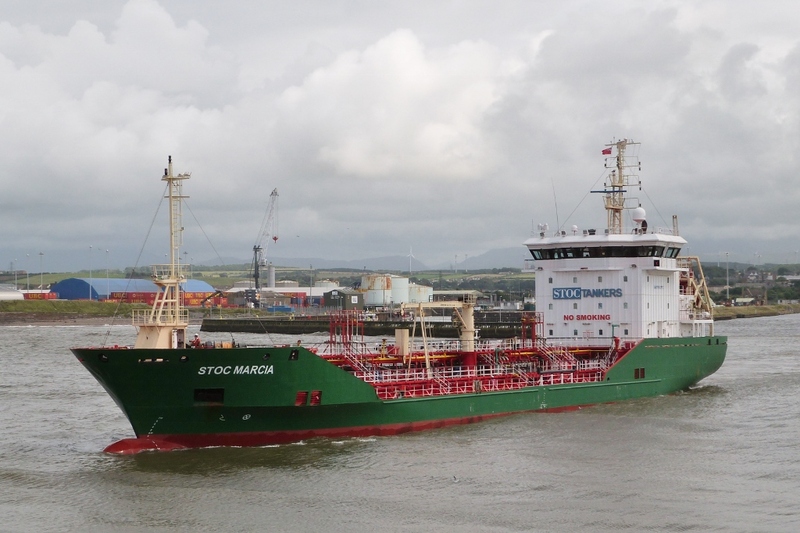 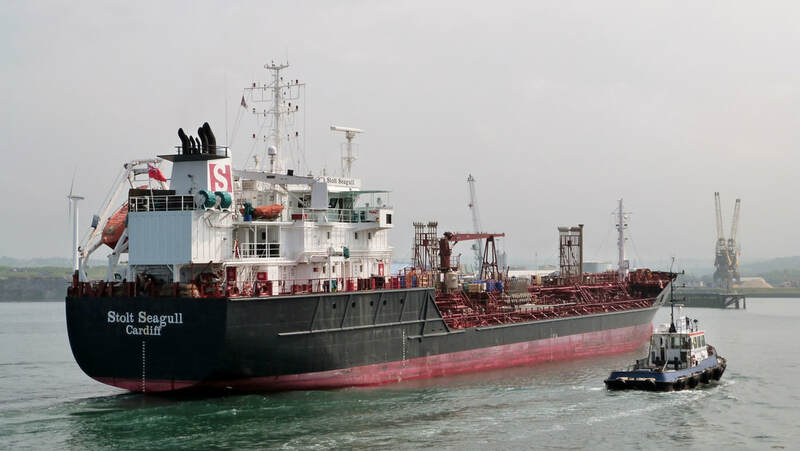 She now belongs to 'Stolt-Nielsen' who operate a fleet of more than 150 vessels. 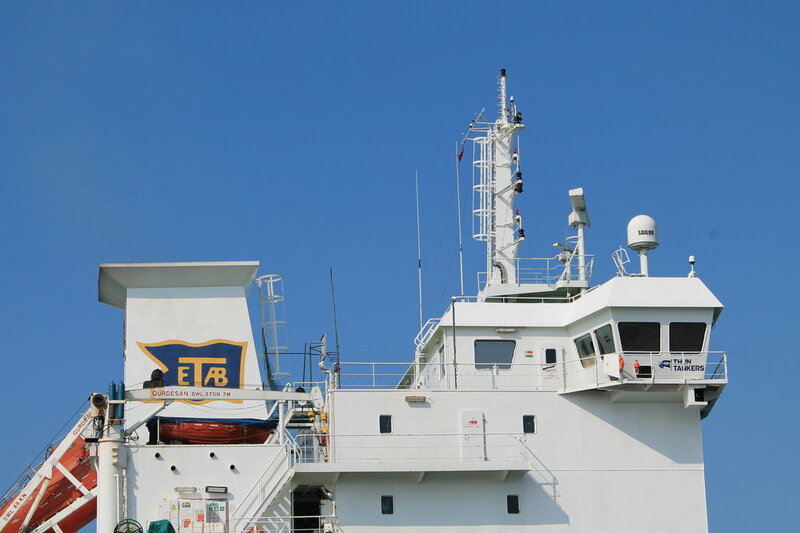 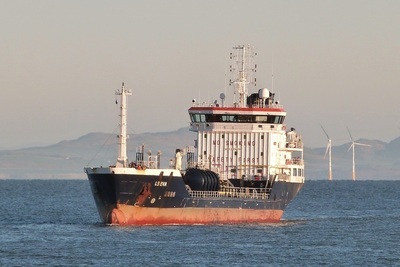 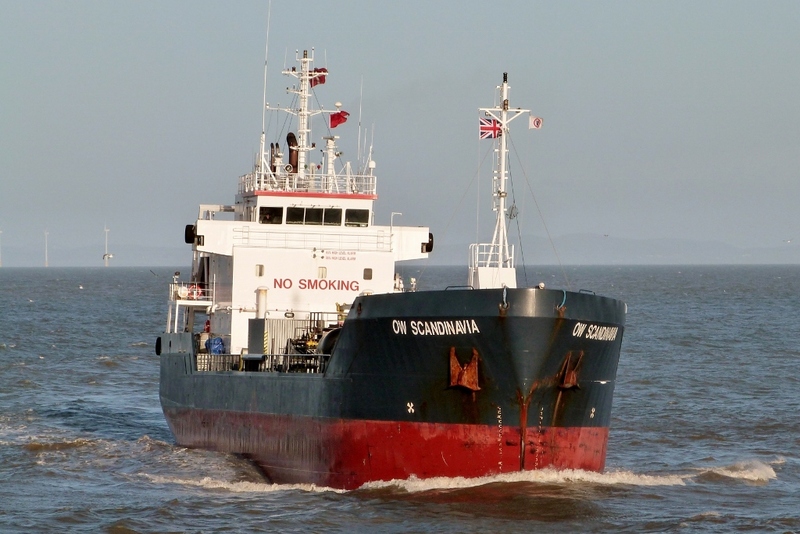 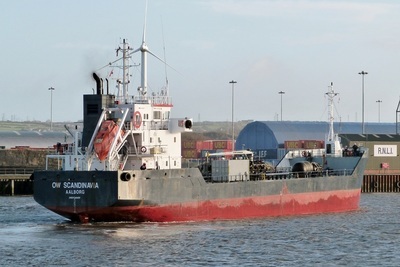 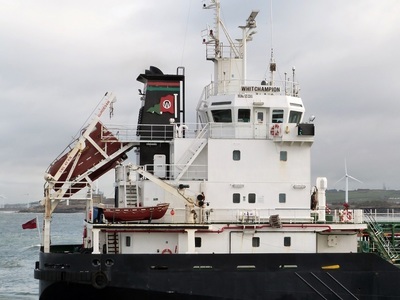 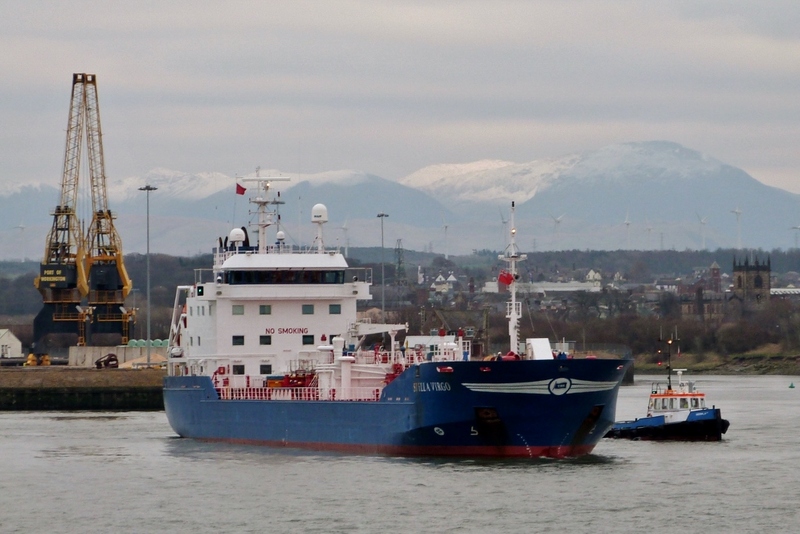 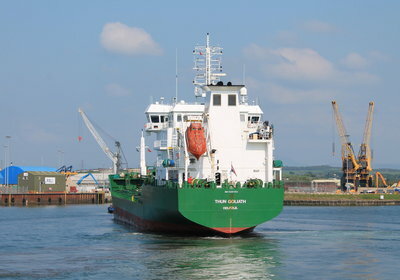 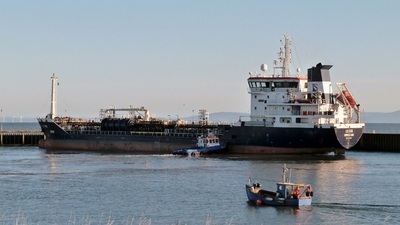 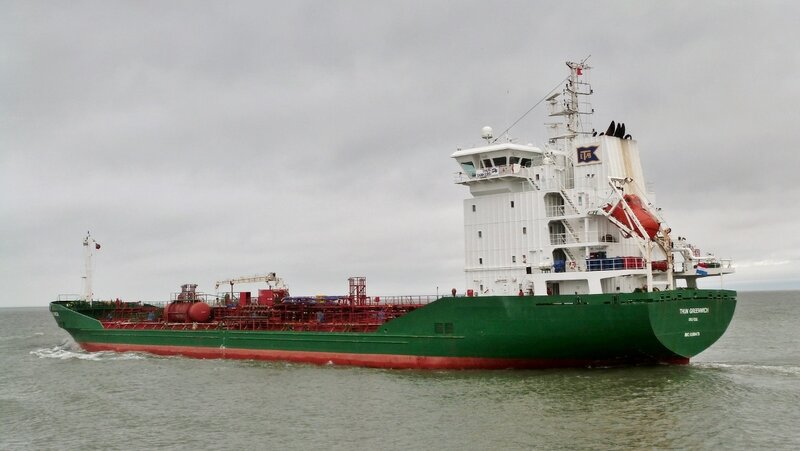 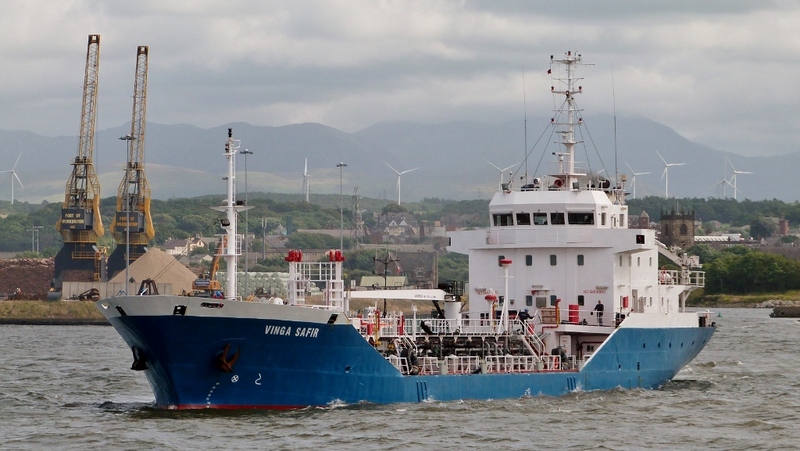 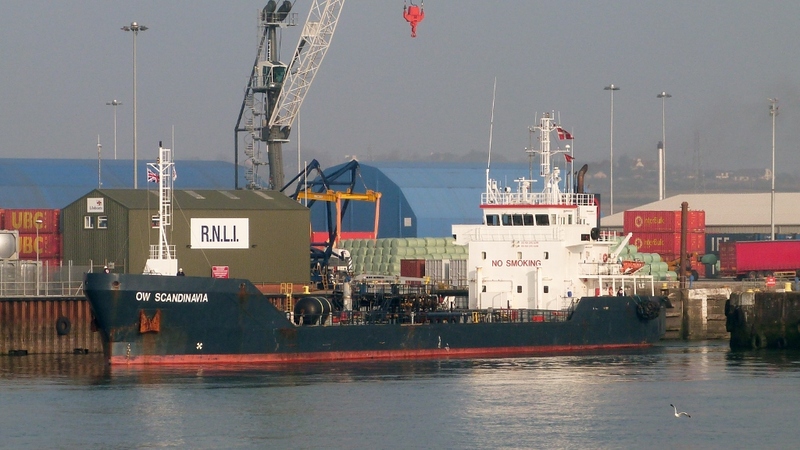 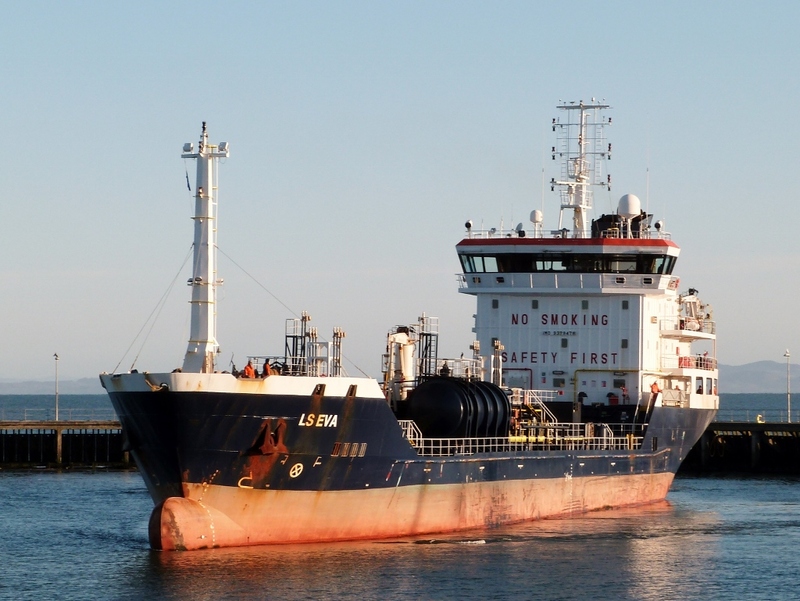 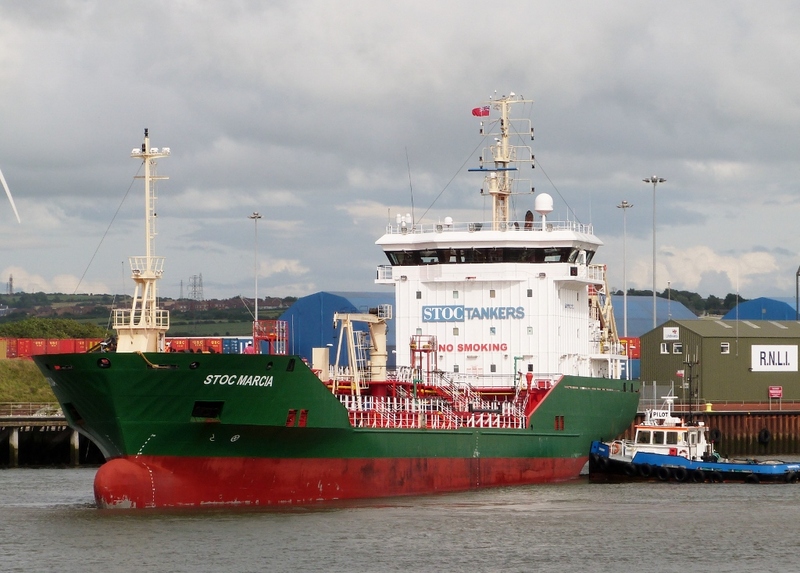 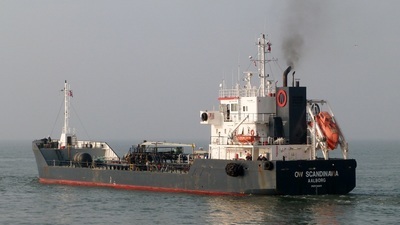 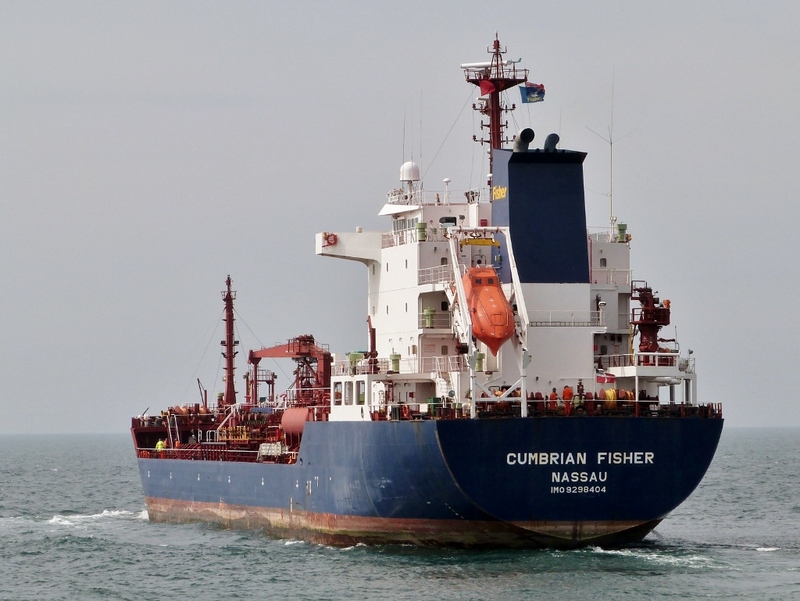 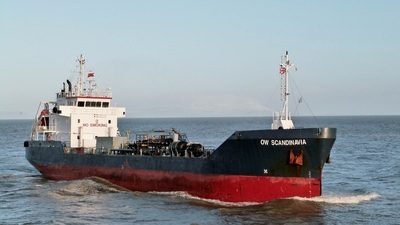 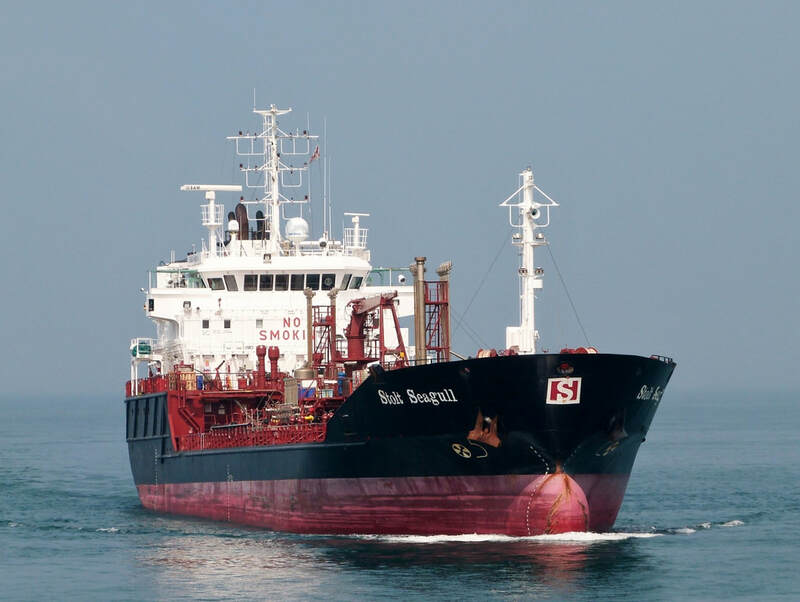 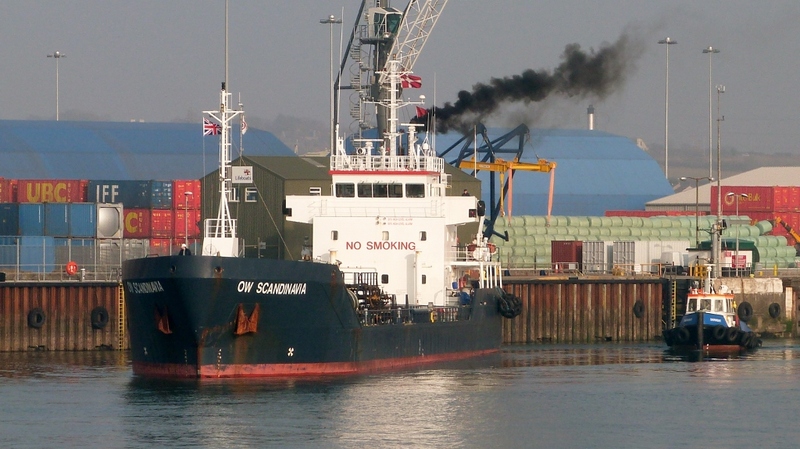 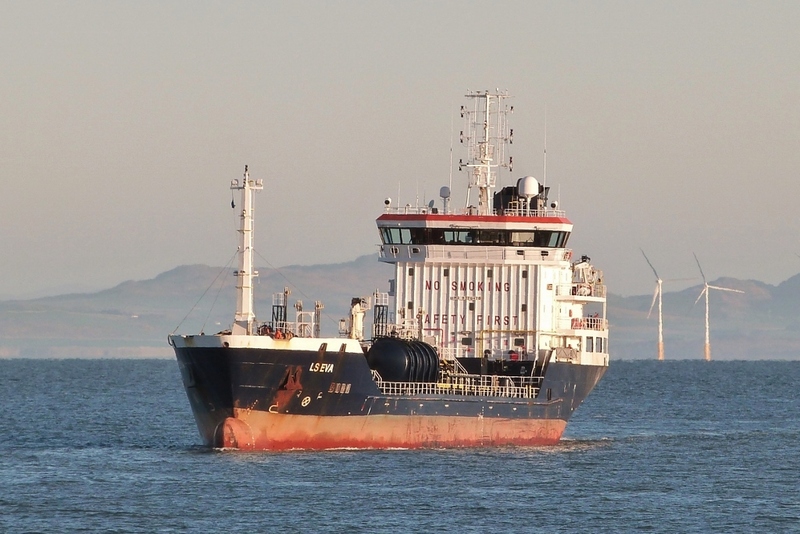 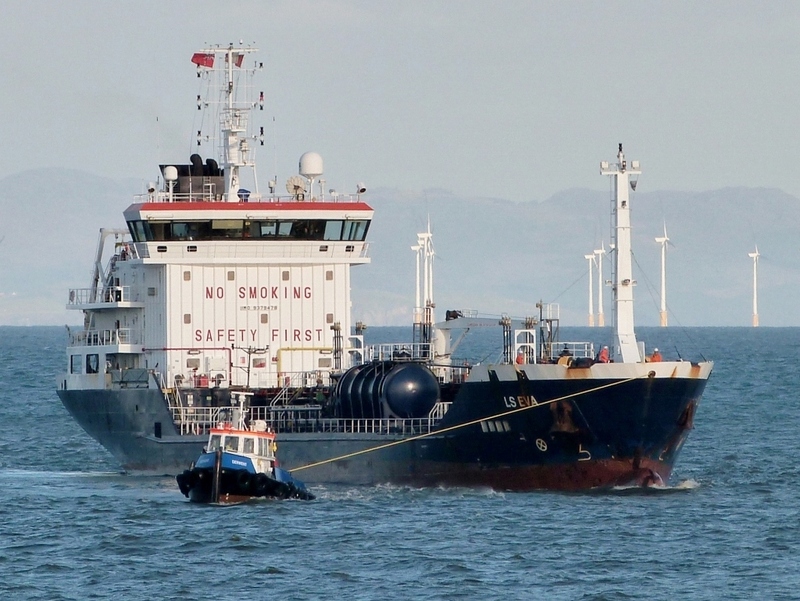 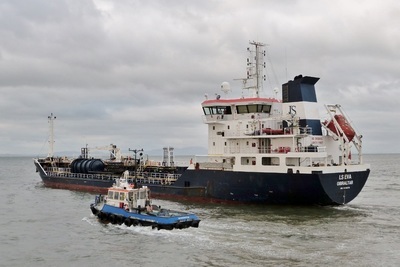 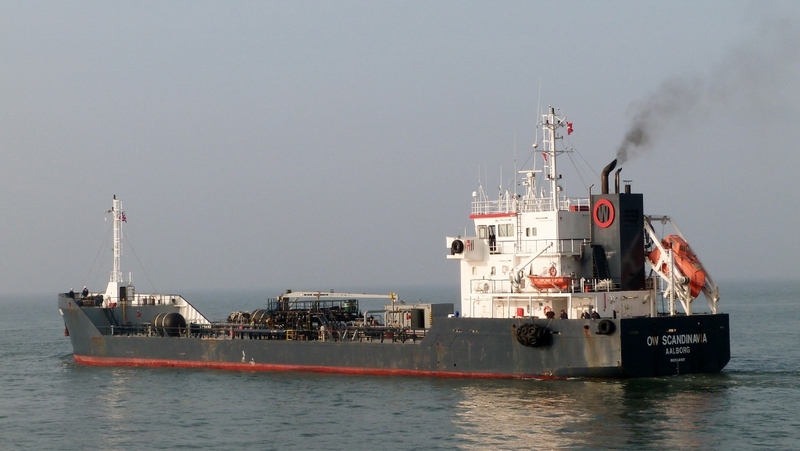 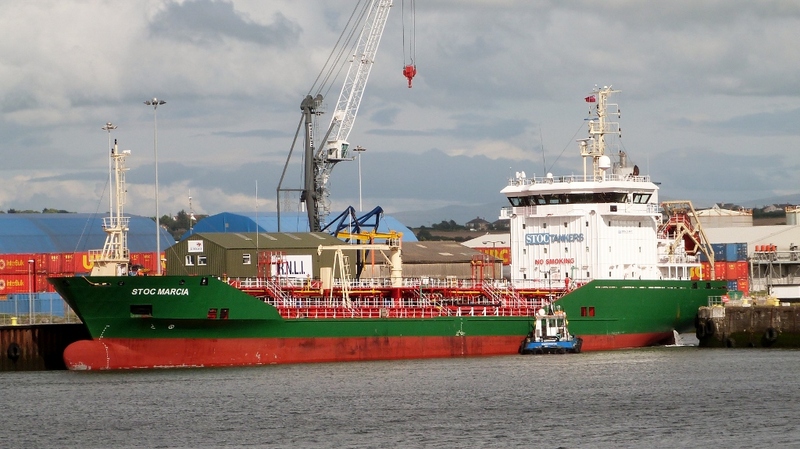 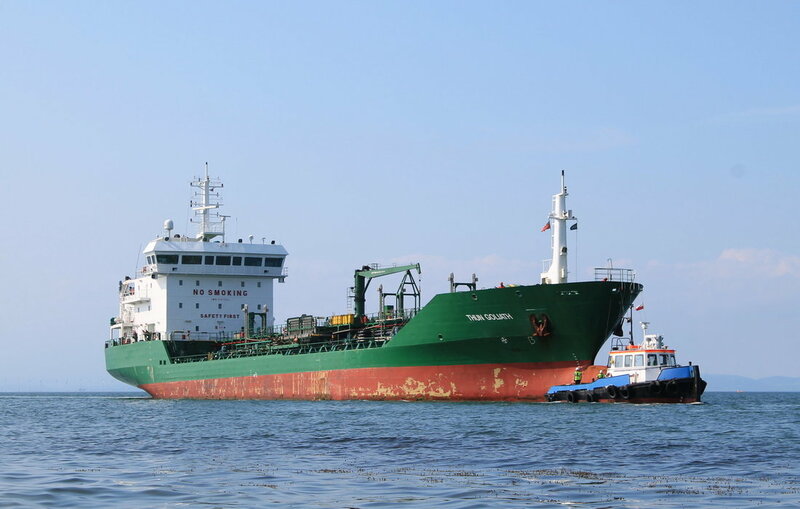 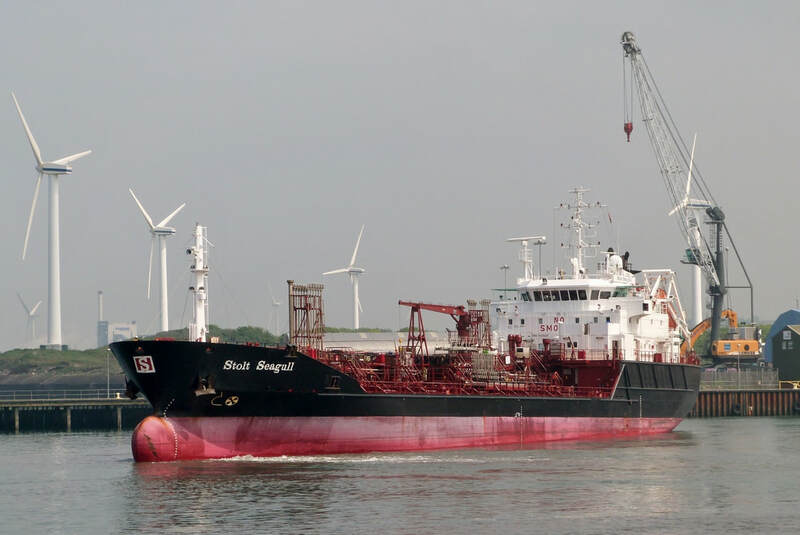 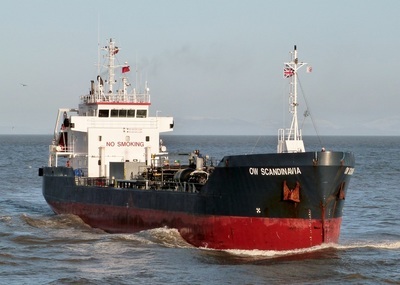 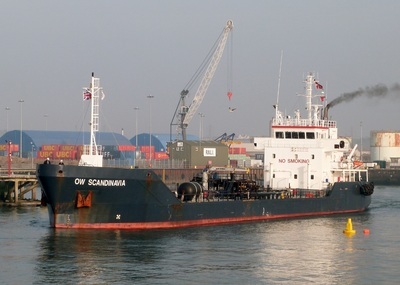 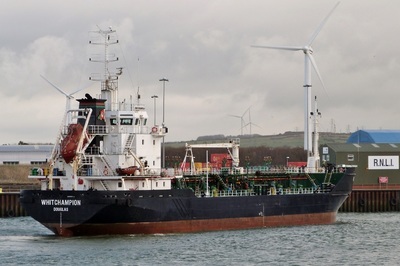 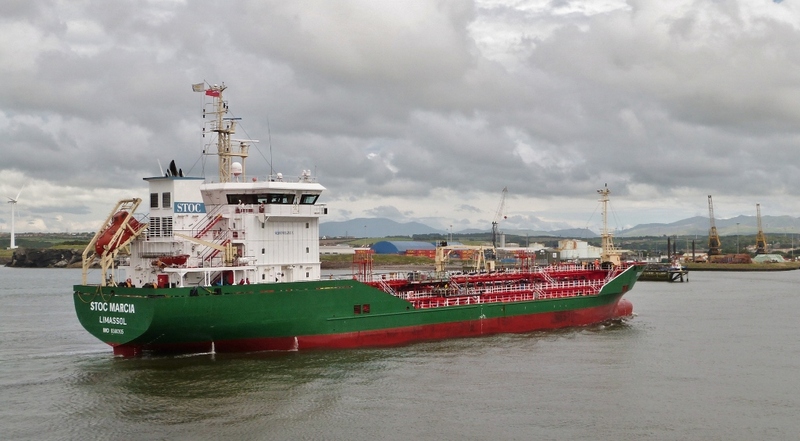 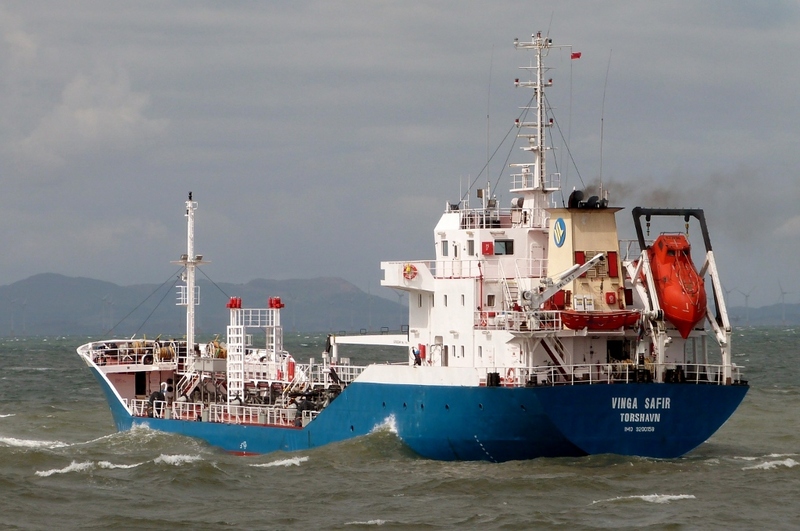 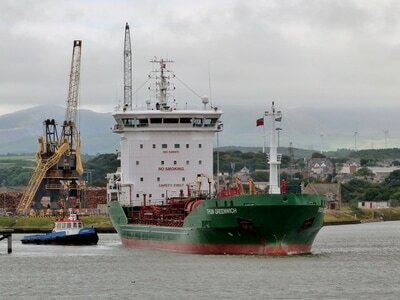 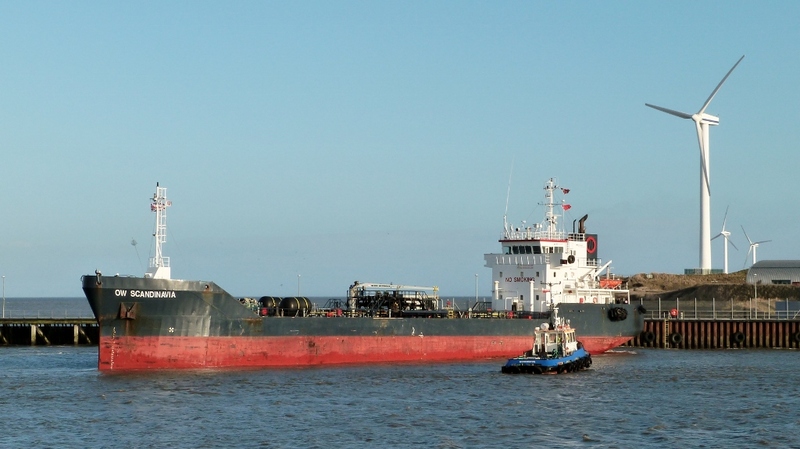 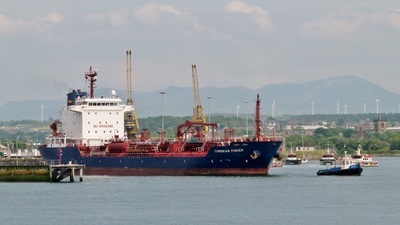 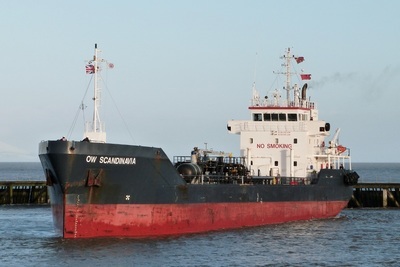 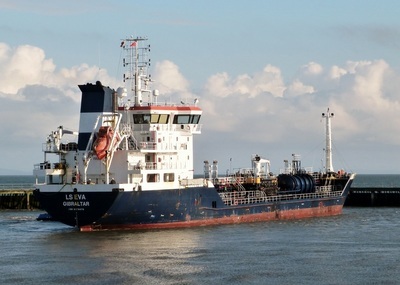 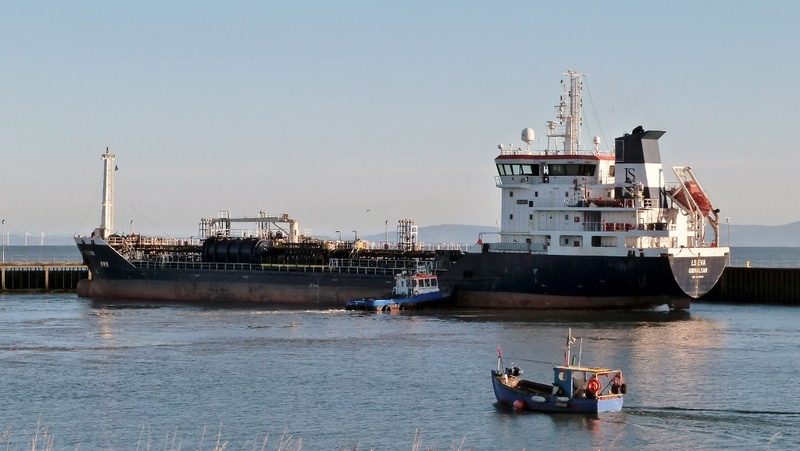 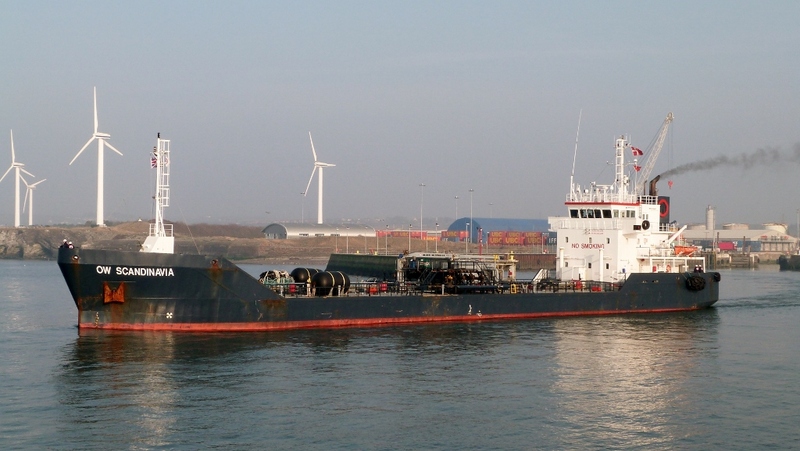 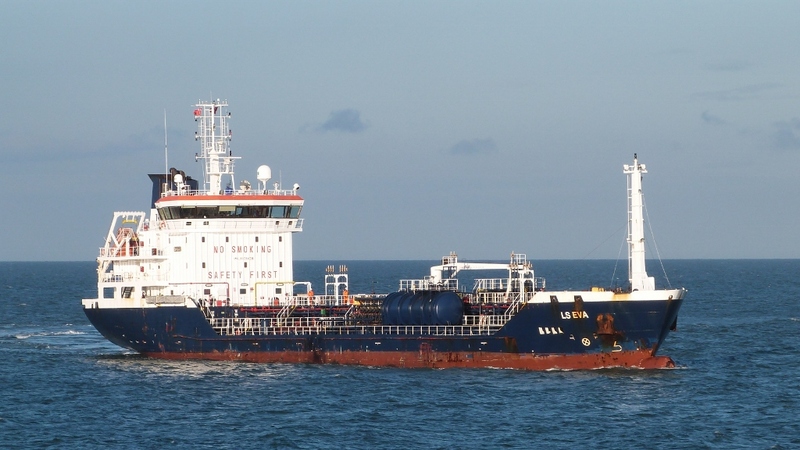 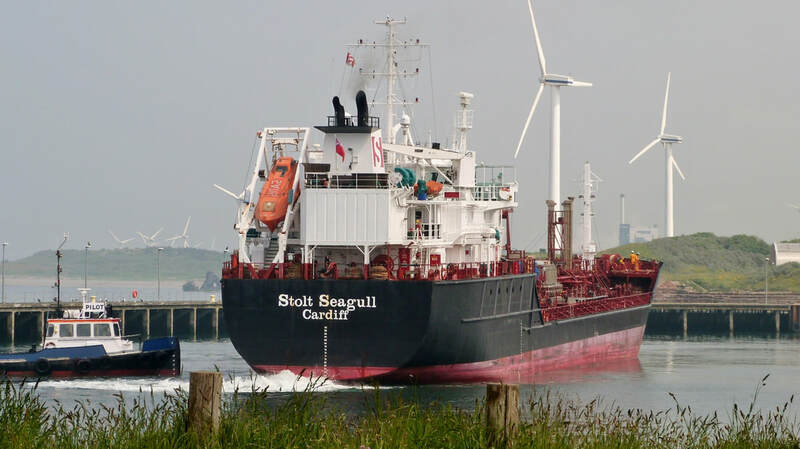 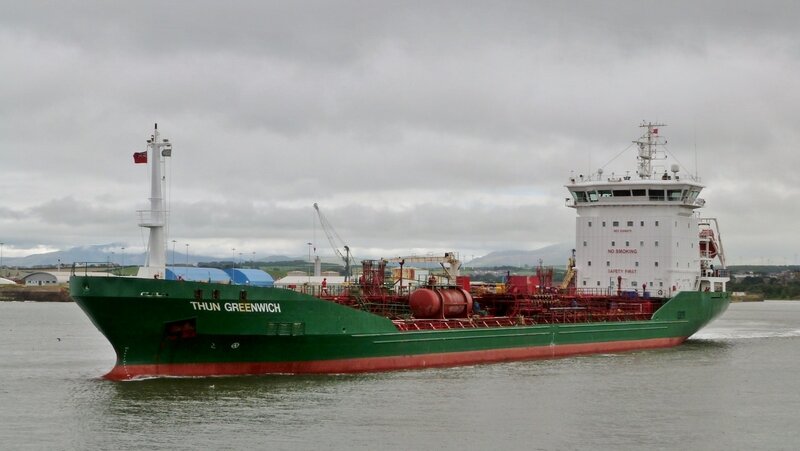 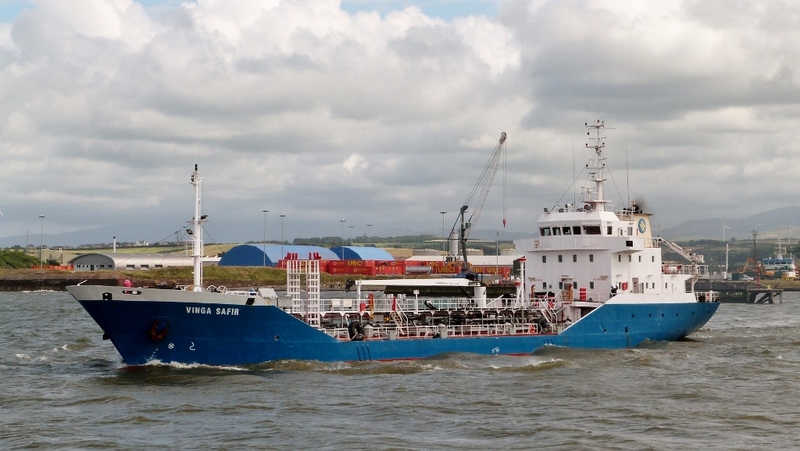 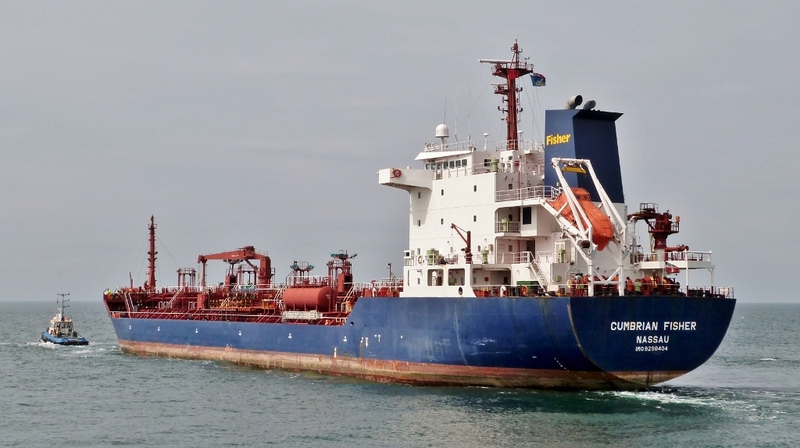 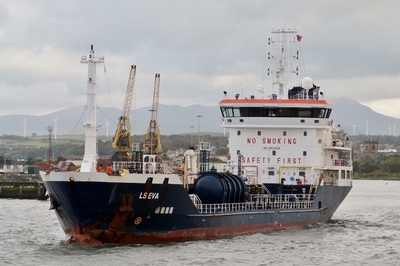 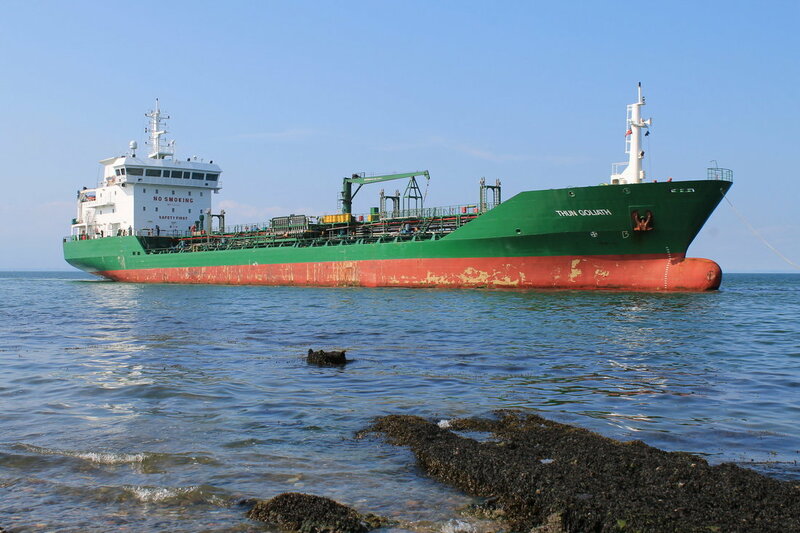 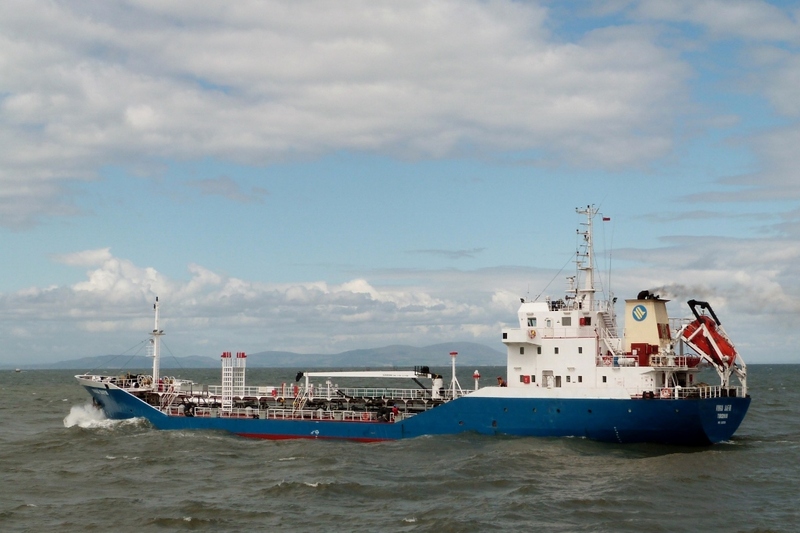 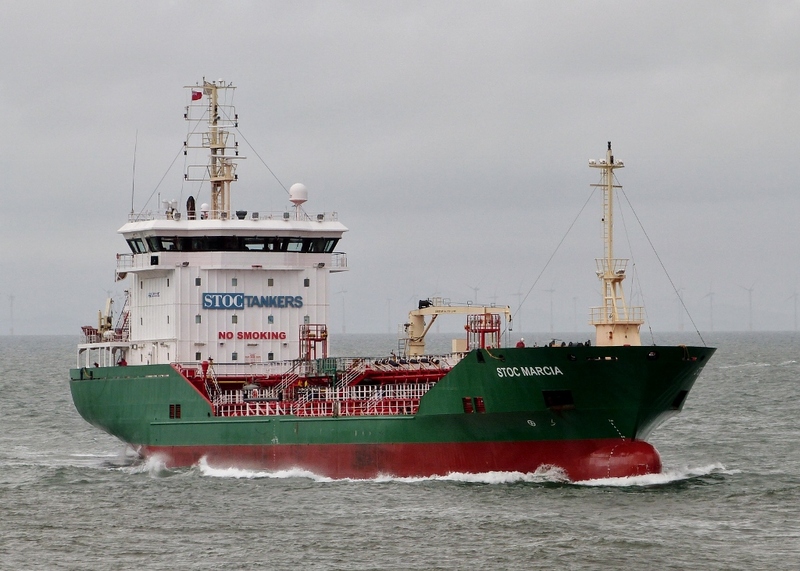 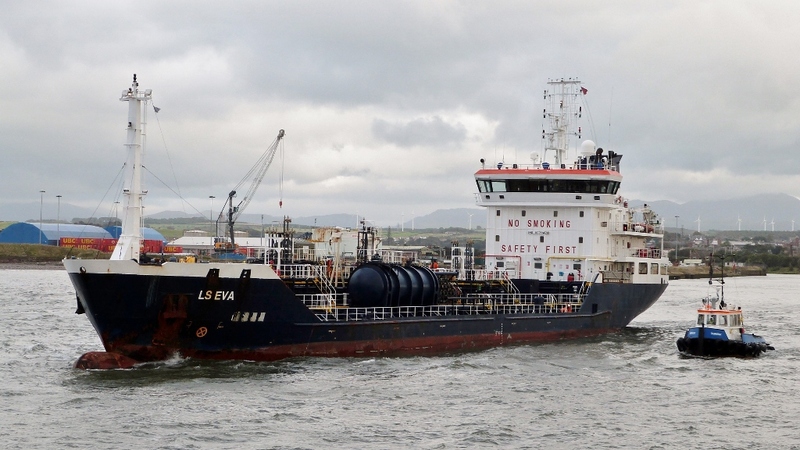 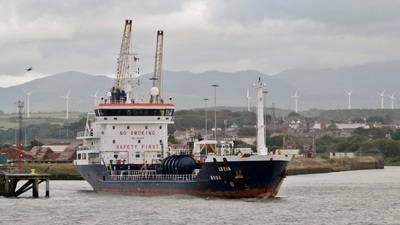 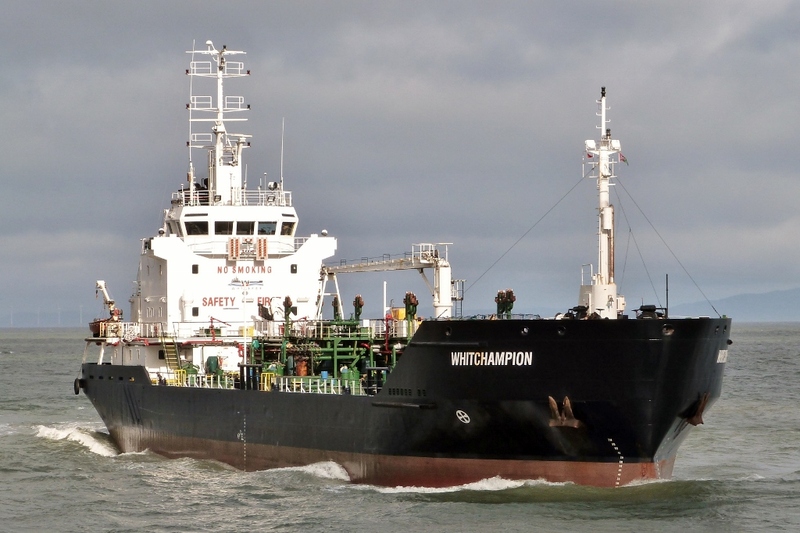 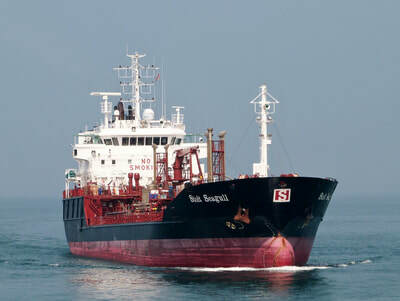 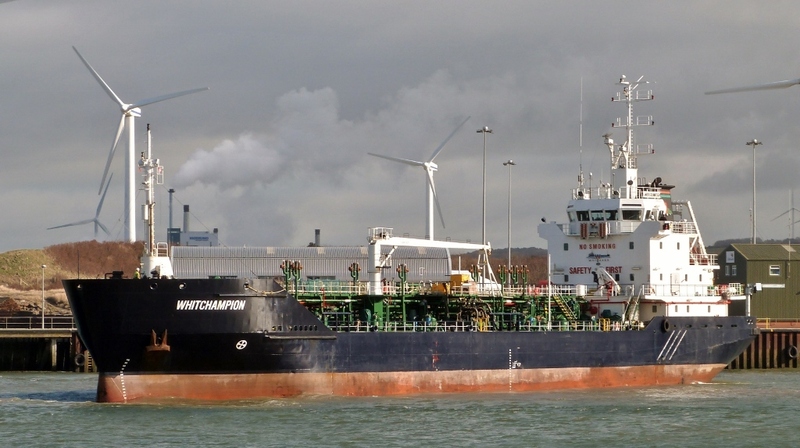 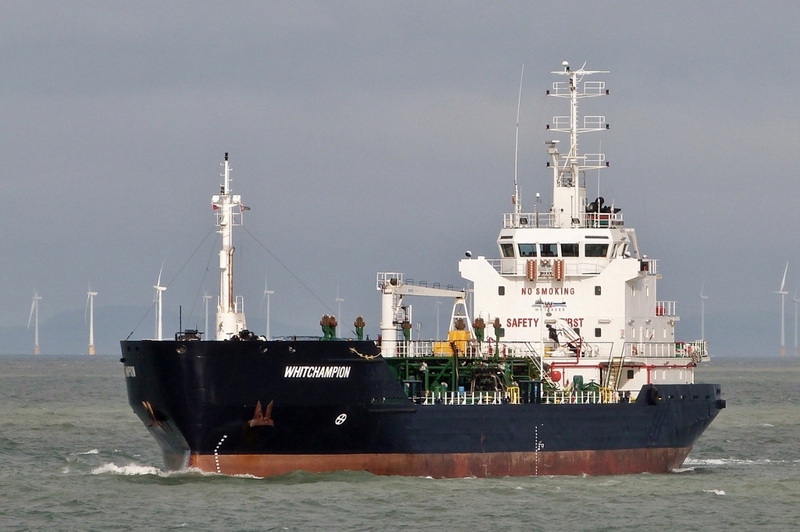 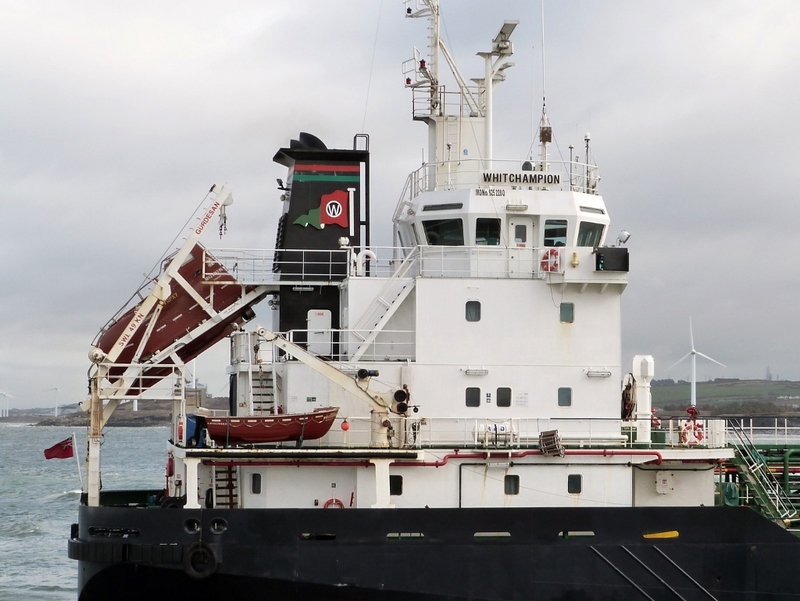 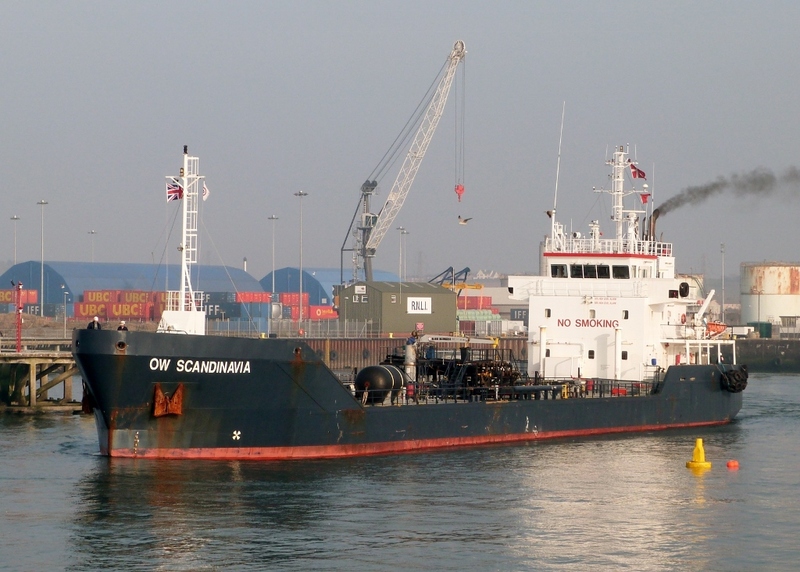 The Cardiff registered vessel is 1 of 16 operating within Europe; all are UK registered & between 4 & 6,000ton DWT. 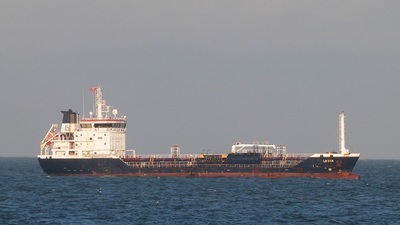 As dusk approaches, the chemical tanker is seen departing for Antwerp with oil products loaded over the weekend. 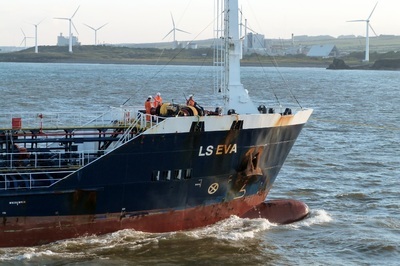 Unusually it took 2 attempts to reverse through the dock entrance into the harbour basin before she was able to turn & get on her way. 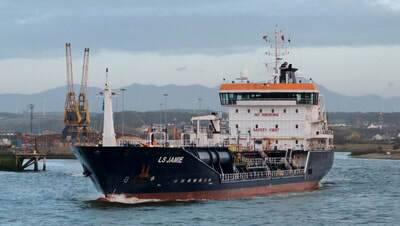 It's the first visit of the 5,700ton DWT tanker to the port, one of 8 managed by 'Lauranne Shipping'. 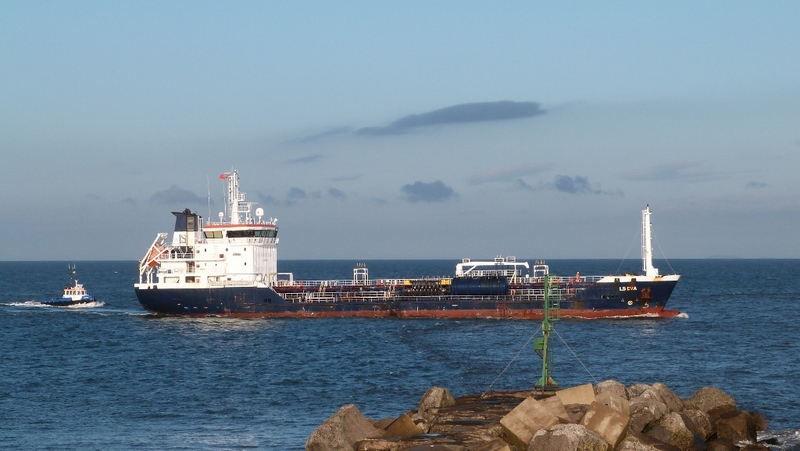 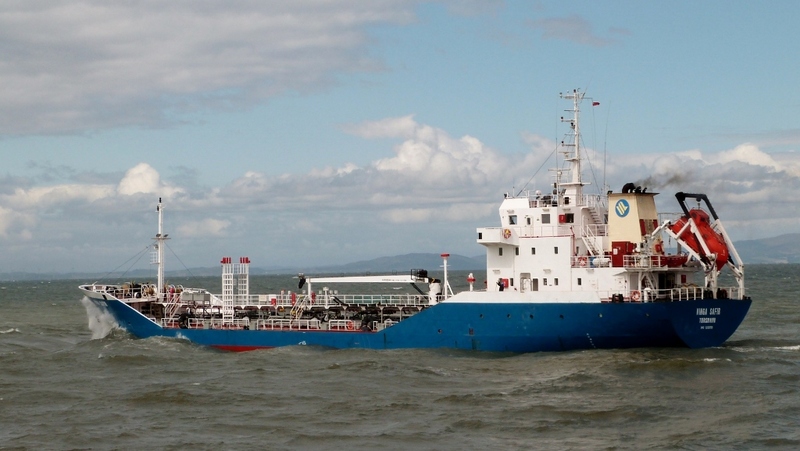 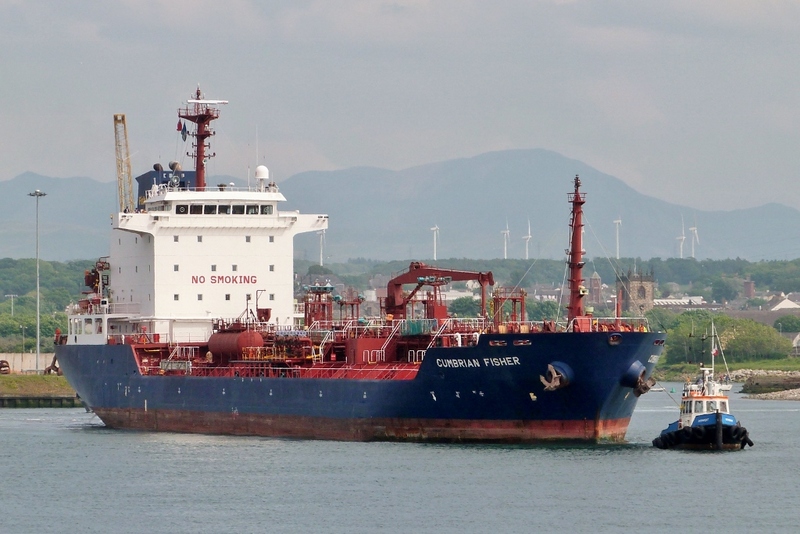 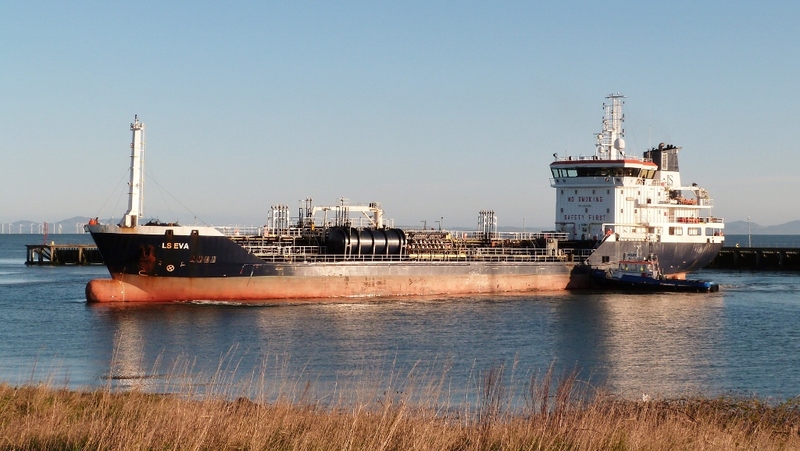 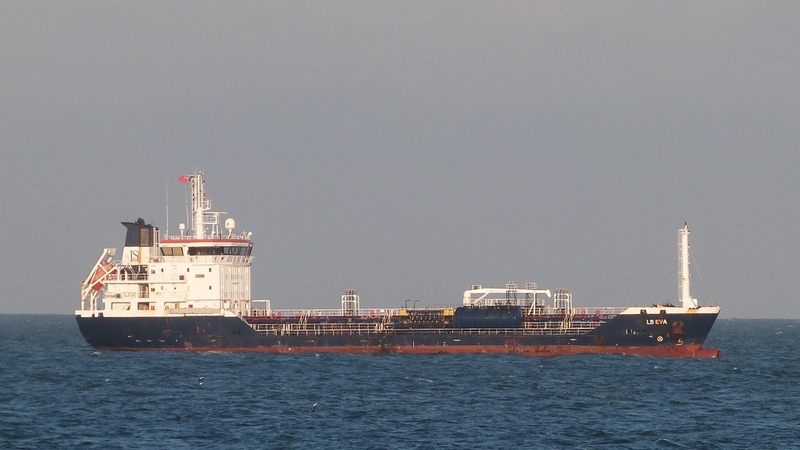 ​After spending 36hrs in dock loading waste oil, the tanker is seen departing for Antwerp on the afternoon tide. 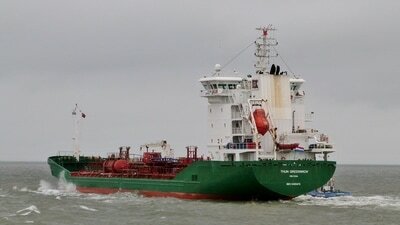 Weather conditions are dull & blustery with rain threatening. 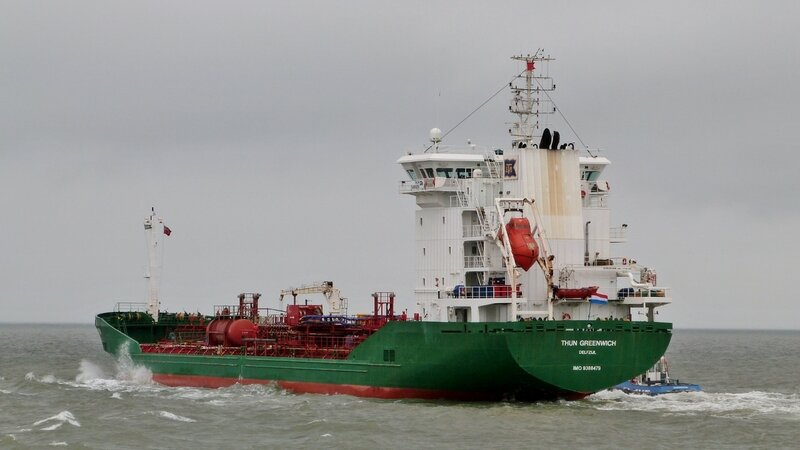 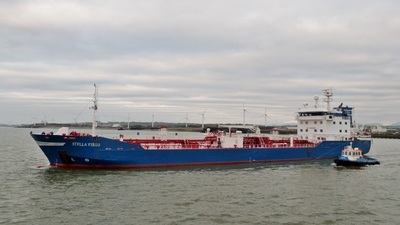 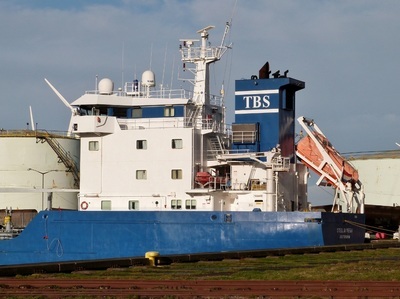 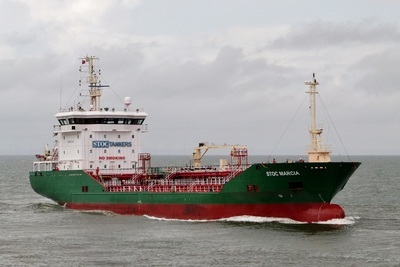 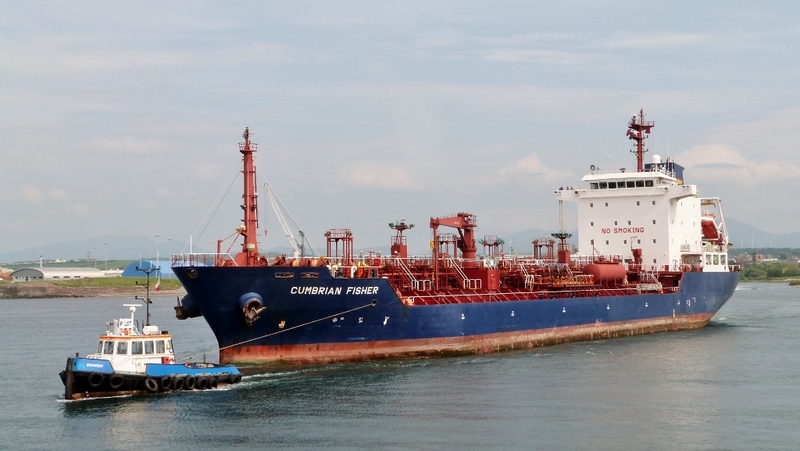 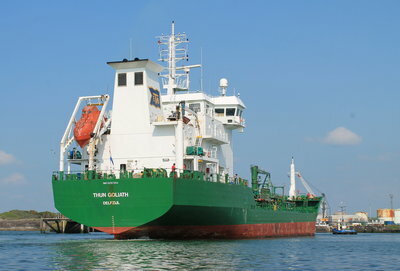 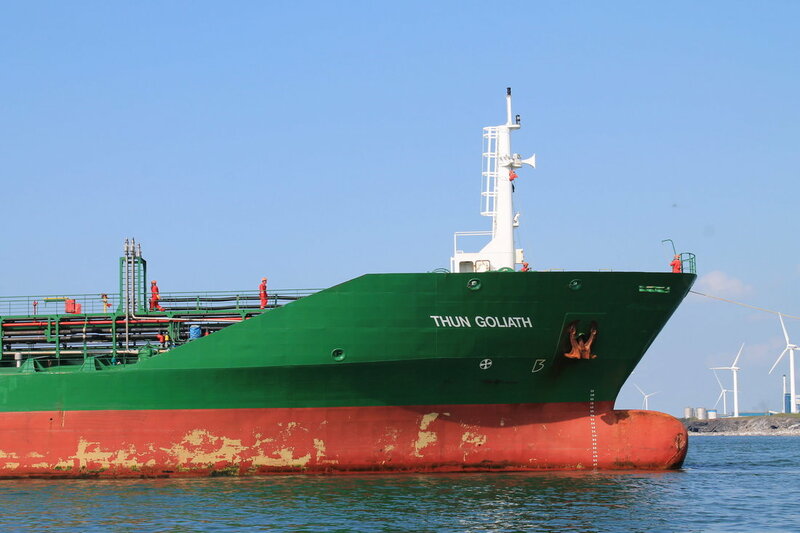 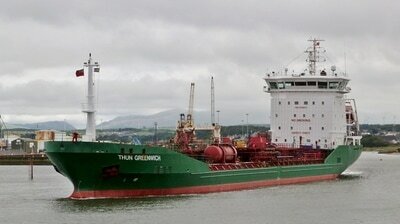 ​Built in 2007, the vessel is the largest of 16 operated by 'Thun Tankers' of The Netherlands. 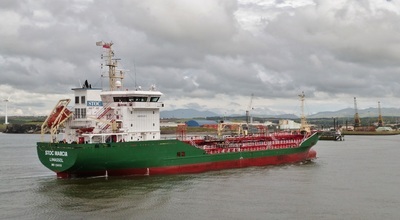 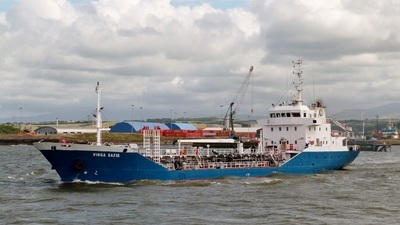 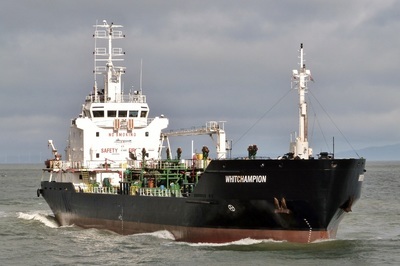 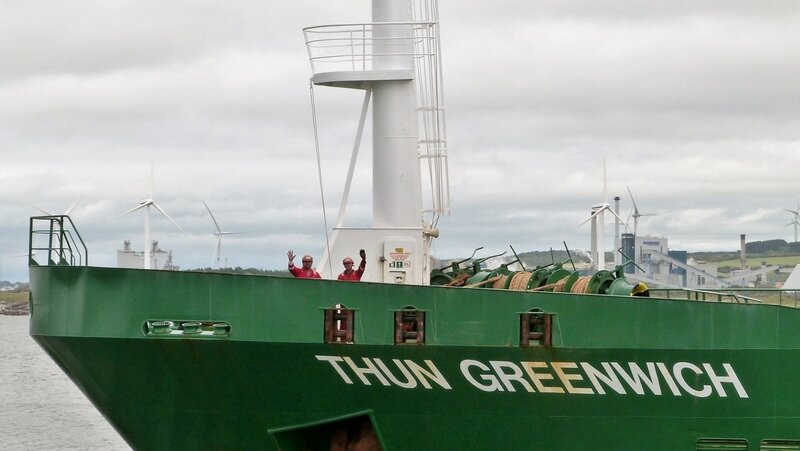 Inbound from Foynes, Ireland, to load waste oil for export to Antwerp. is ​one of the largest to visit the port recently. 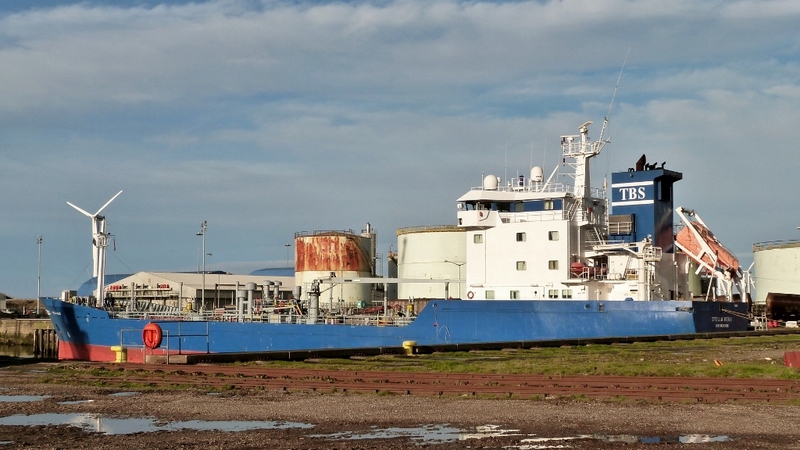 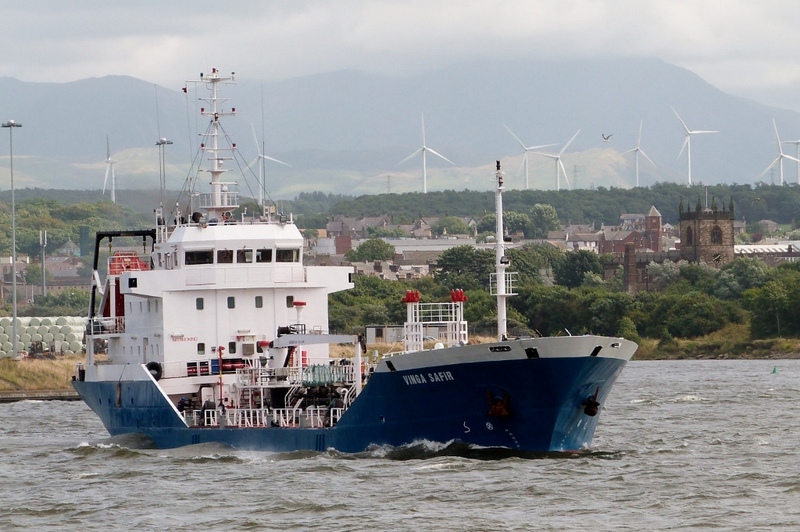 ​Thanks to SolwayShipping for supplying some excellent photos. 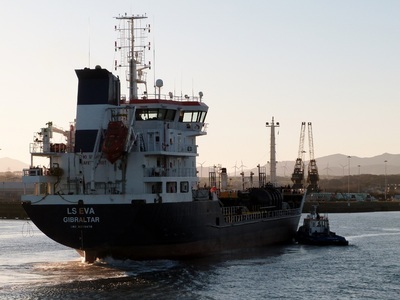 An early morning arrival for "LS EVA", one of 8 tankers managed by Lauranne Shipping BV.